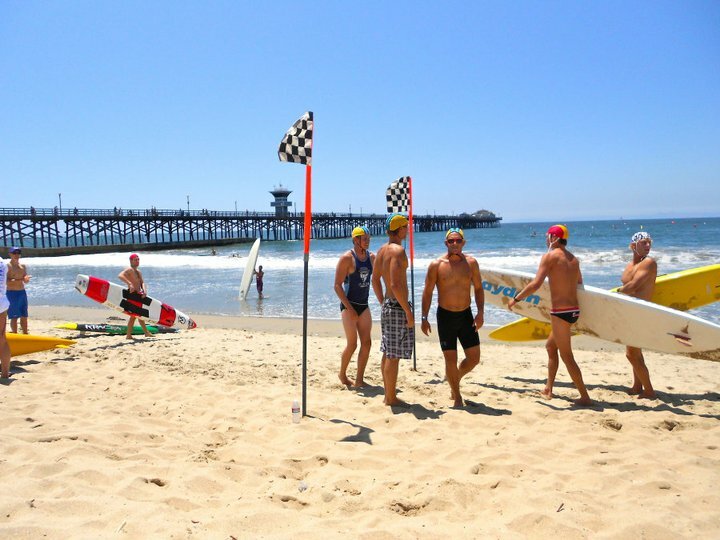 A team of Aussie lifeguards from Half Moon Bay SLSC, of Melbourne, Victoria, AUSTRALIA will be challenging the rest of the field this Saturday nite at Hermosa Beach Pier for the 2011 Taplin Relay. At tonite's Medal of Valor dinner at Seaside Lagoon in Redondo Beach, Calif., the Aussie team was in attendance as guests of our LACo Lifeguard Dept. and LACOLA and the International Surf Festival. note: if the link above does not take you to the video, then please copy and paste the URL into your browser. Dateline: Seal Beach, Calif. Saturday, July 23, 2011. The City of Seal Beach Marine Safety Dept. 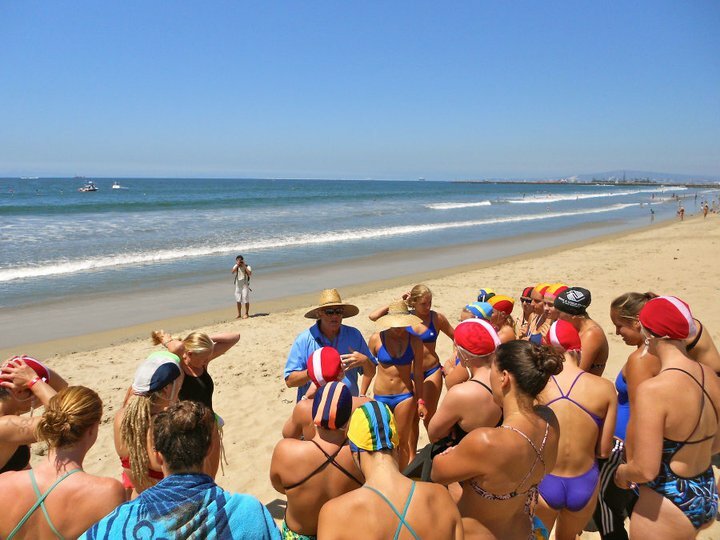 and its lifeguards hosted the recent CSLSA Regionals this past Saturday, as well as the Junior Lifeguard Regionals the previous day. What a Great Host City and Lifeguard Dept. And what a great venue. We've decided to post some of the photos we took on Saturday so that our readership can share some of the sights and sounds, so to speak. And these last two photos below are repeats except that they have been embellished with a Fisheye effects application, which highlight and emphasize the greatness of this venue and its lifeguard personnel. Dateline: Saturday, July 23, 2011, Seal Beach, Calif. CSLSA held its Regionals Lifeguard competition with teams from Laguna Beach, Ventura, Port Hueneme, Huntington Beach, L.A. County, and others participating. 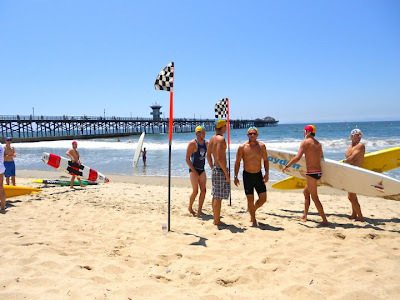 Thus far, we only have the results of one event, the Men's 3-Lap Dory Race which was an L.A. County "Sweep". 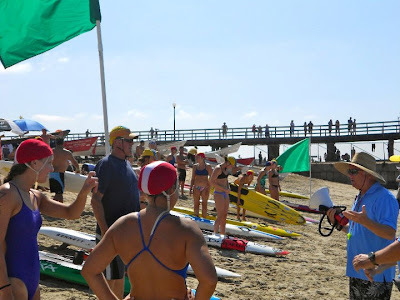 Total Sweepage as a matter of fact because the first five (5) finishers were L.A. County dory teams. It was LACo OLS JVD who informed us first of this spectacular result and then Rob McGowan provided us with the complete list of each LACo dory team in the Top Five, as follows: First Place: JVD & Andrew Czer; "Dave Cartlidge & Danny Bender 2nd; Ben Gottlieb & Marshal Abramszyk 3rd; Mel Solberg & Micah Carlson 4th; and Jim Darling & Anto Baghokian 5th . . . LA City, Long Beach, Seal Beach, San Clemente and Cal State rounded out the top 10." Many thanks to JVD and Rob for posting us on this Great Result! Here are just a few photos that we snapped of this spectacular event. 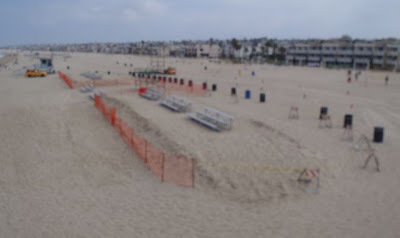 Many thanks to the City of Seal Beach and its Marine Safety Dept. for hosting this event. What a great venue! 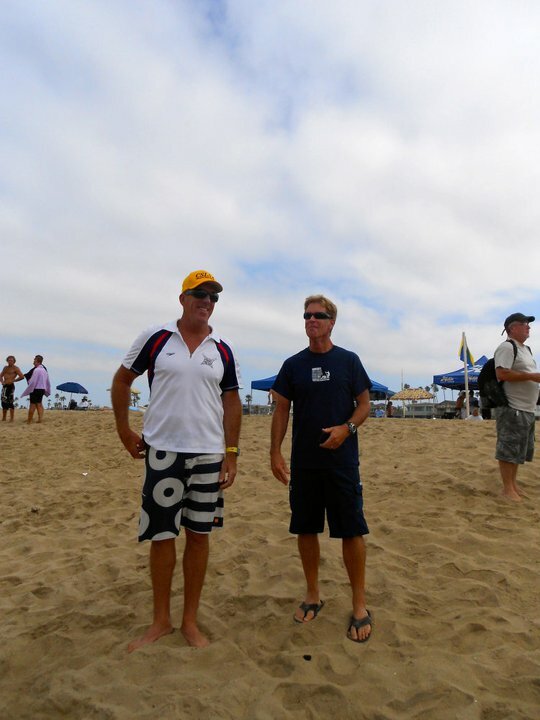 Summer 2011; Photos out and about LACo beaches so far this month of July. Enjoy! Check out the bee hive at the base of the flag pole! Woh! *** All photos by & Copyright 2011 Will Maguire. All Rights Reserved. Used here with permission.